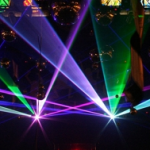 Laser Lights on Frog Pond Sunday, September 2nd! This Sunday, September, 2012 their will be laser light madness at Frog Pond in the Boston Common. The fun starts at 7:30pm but the actual laser show starts at 9pm. This event is free to the public.